The Singing for Well-being toolkit was developed following feedback from clients and care staff from previous singing projects that described the benefits of singing with their elderly clients, especially those with dementia. The toolkit includes a film to promote the benefits of music-based creative activities as well as incorporating specific staff training and development information, which focuses on engaging elderly clients with singing based musical activity. It aims to promote activities in general and provide a training resource that supports staff and carers to organise and run singing sessions, which are sustainable, affordable and fun. 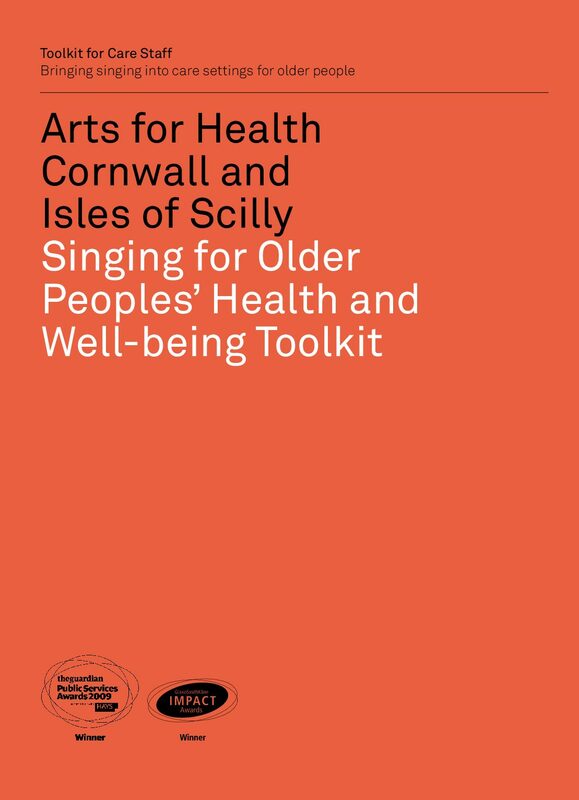 Arts for Health Cornwall and Isles of Scilly. (2010). Singing for older peoples’ health and well-being. Penryn: Arts for Health Cornwall and Isles of Scilly.